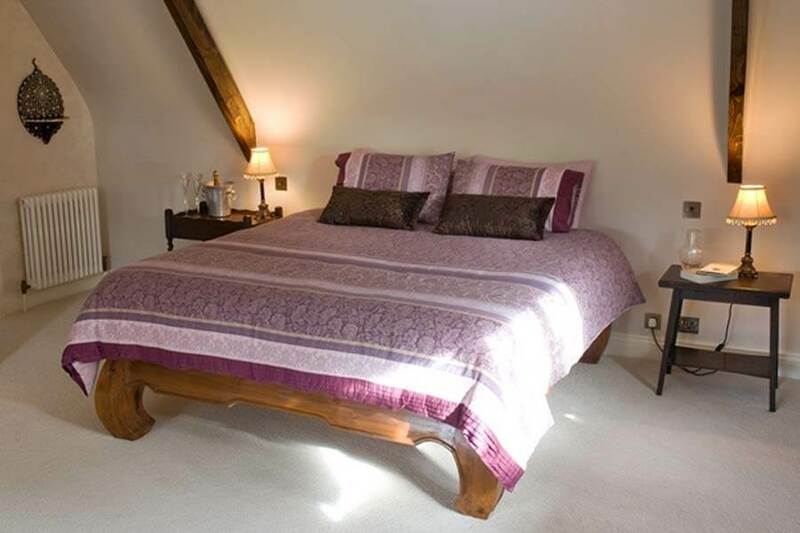 The Master Bedroom is a light and spacious double bedroom with spectacular views over the river and grounds. A very large Burmese teak bed, Persian rugs and an interesting Korean temple chest give this upstairs room a sense of oriental opulence. This bedroom has toilet, shower and wash hand basin en-suite.